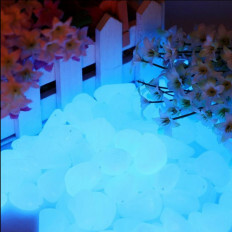 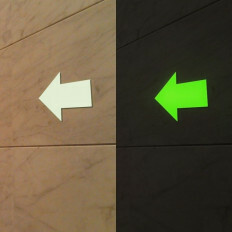 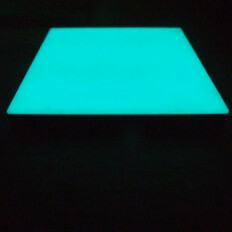 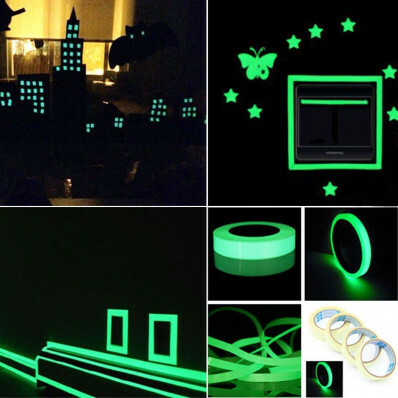 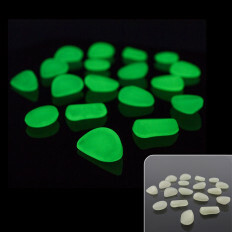 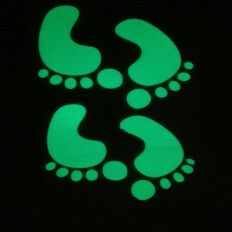 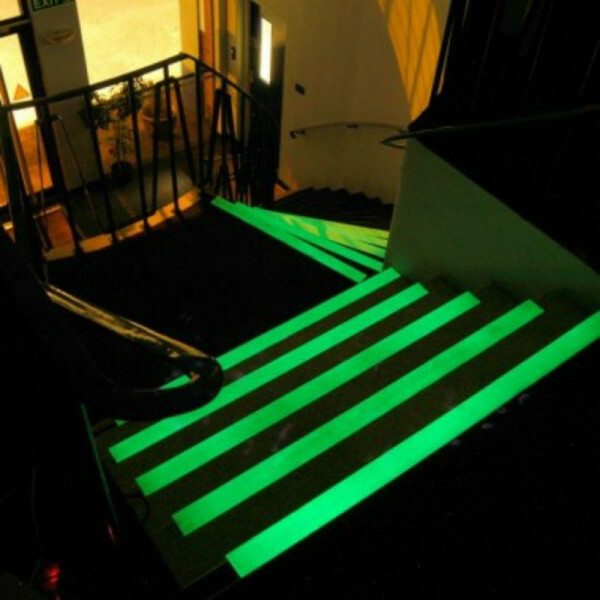 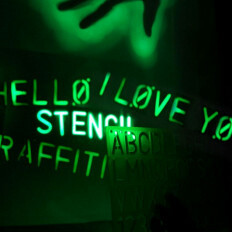 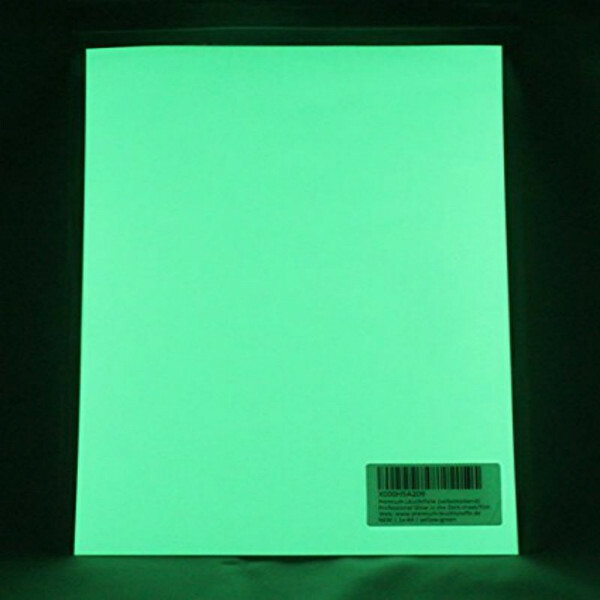 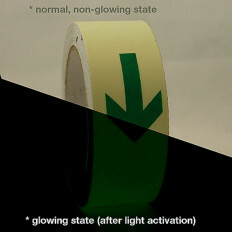 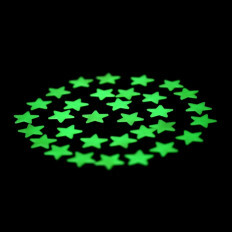 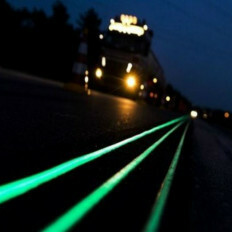 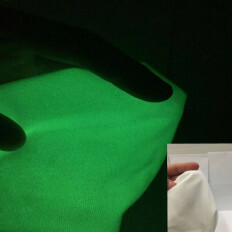 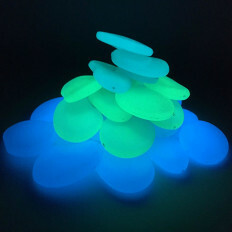 Photoluminescent and luminescent adhesive tape which accumulates light and releases it gradually at night. 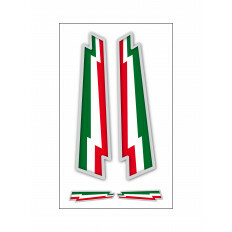 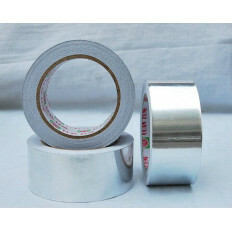 Available in multiple sizes, both in length and width (to be selected in the drop down menu), more units of the same width will be sold all attached. 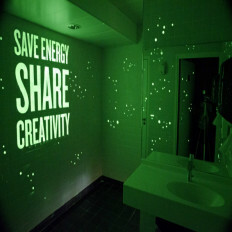 Recomended for theatrical works to create evocative environments. 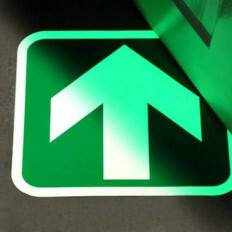 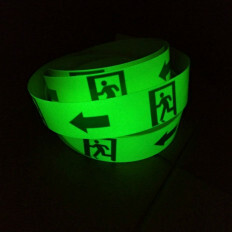 Suitable for signaling emergency exits, dangerous passages and making objects more visible at night. 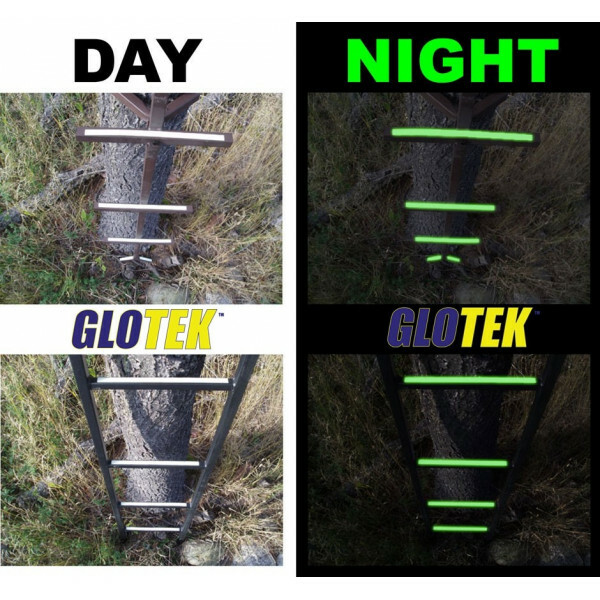 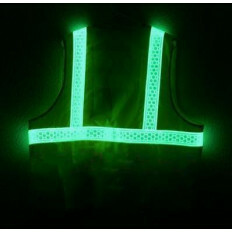 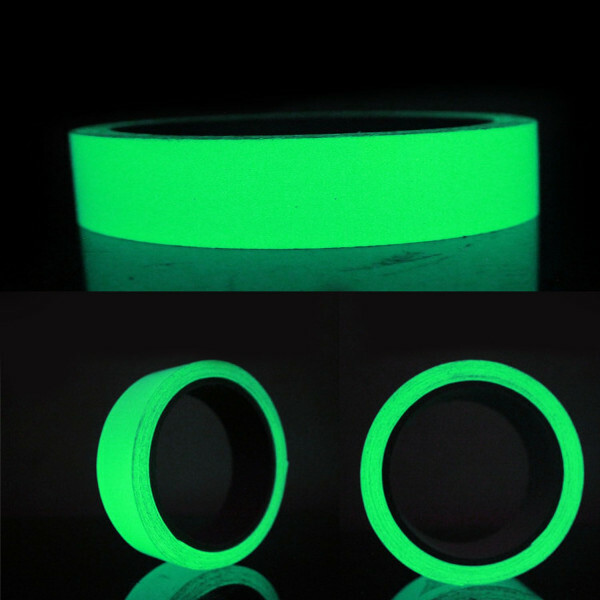 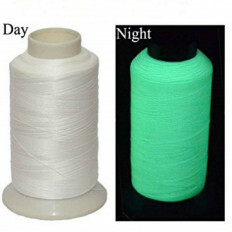 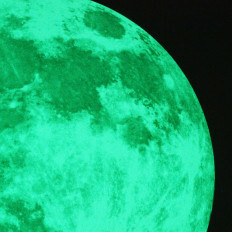 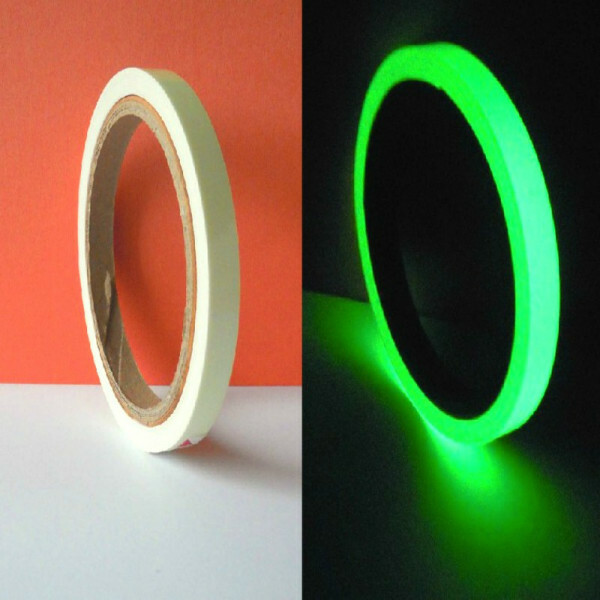 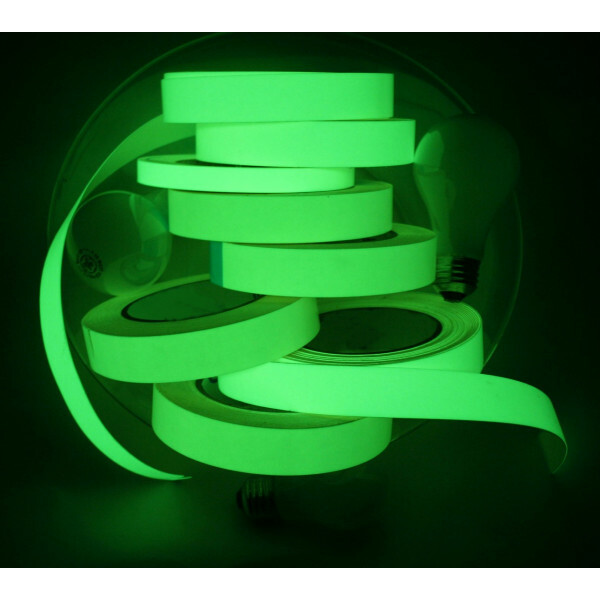 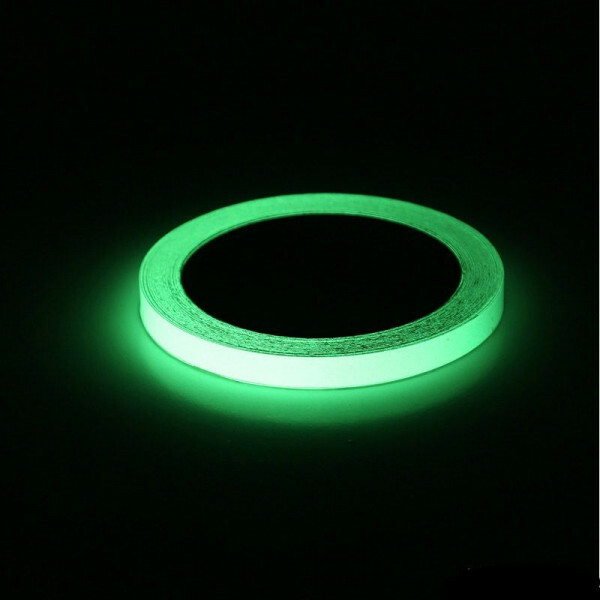 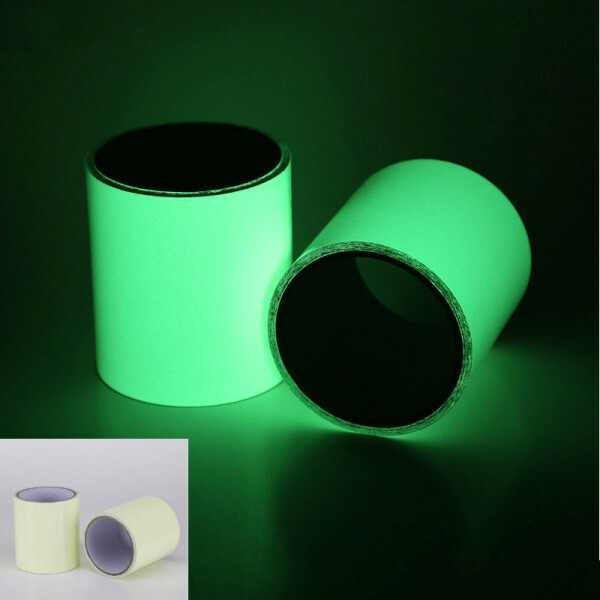 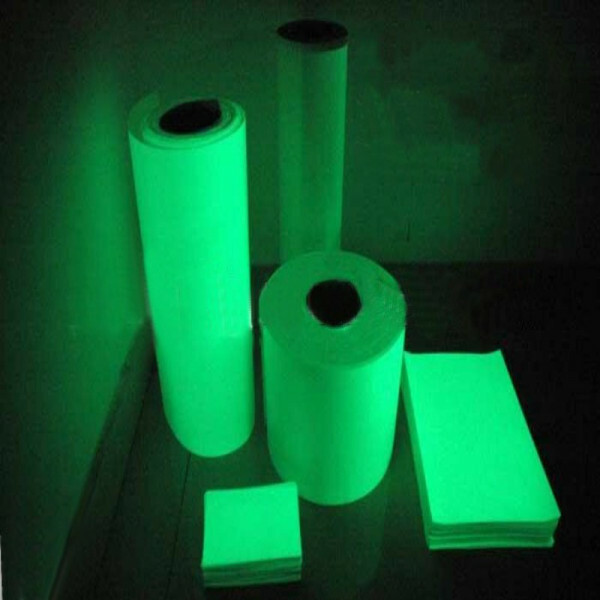 Great fluorescent tape, it looks white in a daytime and fluorescent green in the dark, it recharges with every source of light. 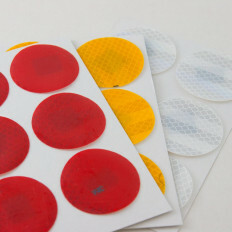 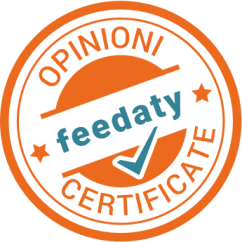 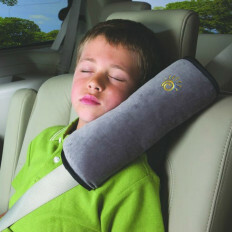 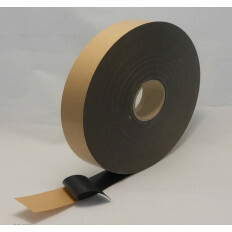 For this reason, it doesn't need of power energy, and it is self-adhesive, waterproof and easily removable. 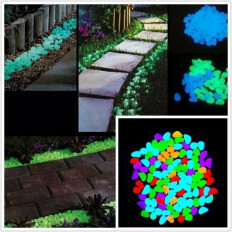 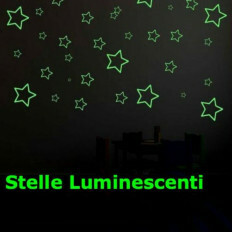 Spectacular product that accumulates light and releases it at night for a very long time. 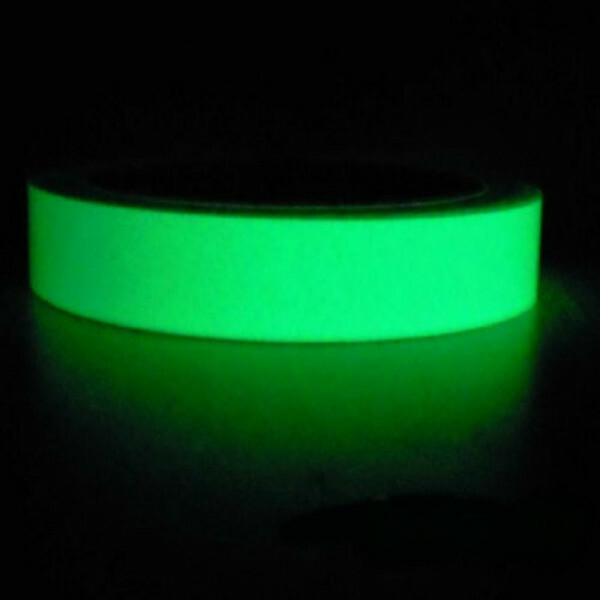 It keeps its luminescence feature forever. 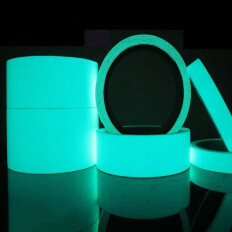 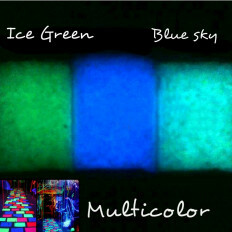 To get a good glow on, the room needs to be as dark as possible. 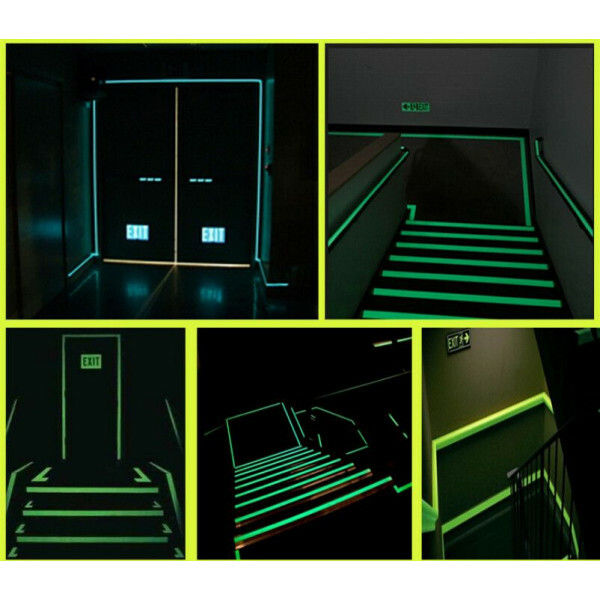 It can be mounted on railings, plugs, sockets, locks, flashlights, handrails, door handles, walls to indicate escape routes under poor visibility and much more. 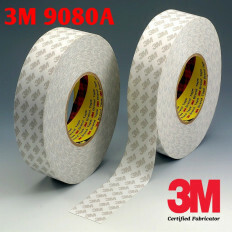 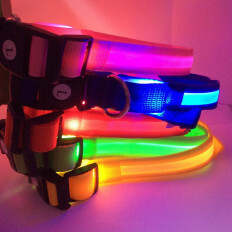 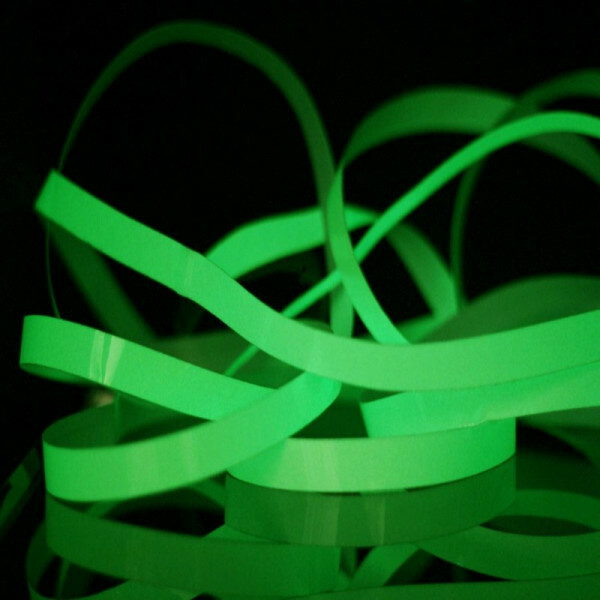 For years, these photoluminescent tapes have been one of our best products. 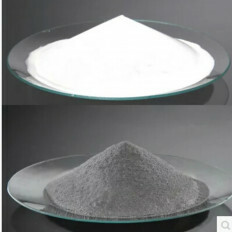 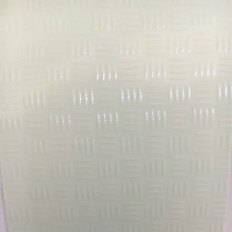 Indeed, they are very sticky (high tear strength), they have a powerful brightness and resistant thanks to the PVC composite. 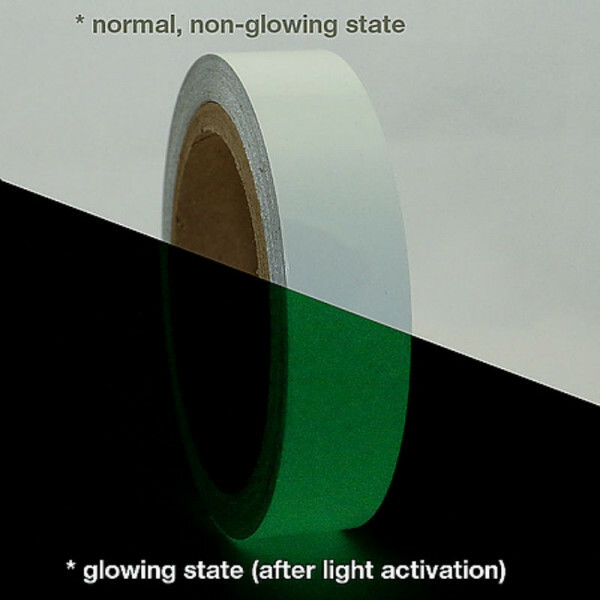 The light effect that can last about 6/8 hours will gradually deteriorate if the tape is not replaced near a light source. 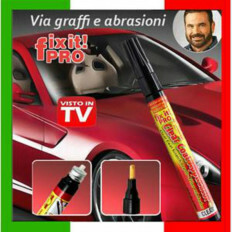 The product can obviously be cut by the customer in according to his needs.